Mryok Replacement Lens and Rubber Kit for-Oakley Radarlock Path Sunglasses -Opt. Mryok Replacement Lens and Rubber Kit for-Oakley Half Jacket 2.0 Sunglass - Opt. Mryok Replacement Lenses and Rubber Kit for-Oakley Radar Path Sunglasses - Opt. 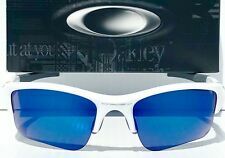 Oakley Fast Jacket Custom Blue w/ Ice Iridium AND Fire Idirium Lenses. EUC!! Mryok Replacement Lens and Rubber Kit for-Oakley Jawbone Sunglasses - Opt. Men's Wilson Rush Pro 2.0 Tennis Shoes - White/Gray/Blue - NIB!